VICTORIA is set to become the first state to legalise voluntary euthanasia after an assisted dying bill passed through the state’s Upper House. The bill will allow terminally ill patients of sound mind with a life expectancy of six months or less to end their lives by taking a lethal drug prescribed by a doctor. Where a patient is unable to take the drug themselves, a doctor may be permitted to administer it. The scheme is scheduled to begin in June 2019. While Premier Daniel Andrews said the passing of the bill would give people the dignity that they had been “denied for far too long”, Australian Conservatives MP Rachel Carling-Jenkins, who opposed the bill, said Victoria would be the first state to issue “death permits” once the scheme was introduced. The Australian Christian Lobby accused the Andrews Government of crossing an ethical line and “embracing a culture of death”. Queensland priest Fr Kevin McGovern is an ethicist and former director of Melbourne’s Caroline Chisholm Centre for Health Ethics. 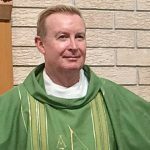 He is now priest administrator at St Cecilia’s Church in Glen Iris, Melbourne. He writes about the decision. I HAVE just returned from a long walk. I walked and walked because I needed to think about the legalisation of euthanasia in Victoria. I needed to begin to process what this will mean for all of us who live in Victoria. I felt – and I continue to feel – very sad. I feel sad for my friends and colleagues who provide palliative care in Victoria. Their vocation and their great skill are to support the quality of life of those who live with serious or life-limiting illnesses. Almost all of them have been dreading this. In a short while, as the end of life draws near, others will ask their patients whether they have considered ending their lives. At least to some extent, it will undermine the message of palliative care that life is worth living until natural death. In the future, at least sometimes, my friends in palliative care will feel very sad when one of their patients ends their life prematurely before natural death. I also feel very sad for Victorians who live with life-limiting illnesses. Not too long from now, they will be asked to decide whether or not they want to continue. This will not ease their pain. For many of them, having to make this awful decision will add to their anguish. The new law has a very limited concept of consent. Essentially it requires only that a person holds to the view of wanting to die for the relatively short period of 10 days, without obvious psychological problems or social pressure. In the course of a long illness, many people would have times like this when life is hard and they want it to be over. However, I remain unconvinced that this short period demonstrates that this would remain their wish over the long term. In Victoria life will continue. On a recent Thursday night and Friday, I prayed with a wonderful woman who was dying after many years of living with cancer. Indeed, with her family around her, she did die on the Saturday morning. Throughout her life, Judy had lived with courage and integrity. She faced her years of illness with the same courage, the same integrity. Even if euthanasia had been available, Judy would have shunned this option. She would want her life to end with natural death, and not before. In the future, when euthanasia becomes an option in Victoria, there will still be many people like Judy. Most of us – indeed, almost all of us – will continue to recognise that even in the midst of struggle, life remains a great good and life is always worth living. At the same time, my friends and colleagues in palliative care will continue to support the quality of life of those who live with serious and life-limiting illnesses. Those of us who work in pastoral and spiritual care, we too will seek to support those whom we serve to move from fear to hope. Approaching death is fearful, and many people do become overwhelmed by fear. In that state of fear, death can indeed seem the only alternative. Our task is to help those whom we serve to rediscover hope. Even in the shadow of death, there is always much to hope for. 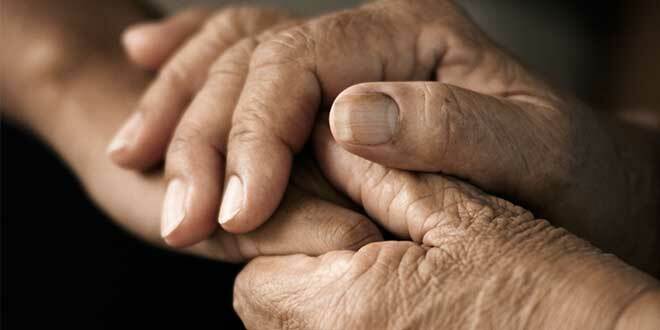 Thanks to palliative care, we have reason to hope that the time of our dying will be free of serious pain. We even have reason to hope that this can be a productive time in our lives, with opportunities to change and to reach out to others in ways which might not be possible at any other time in our lives. Sometimes, it is enough just to hope for the blessing of another day – another sunrise, seeing the beauty of nature, experiencing the care and the love of those who look after us. There is nothing inevitable about any of this. Most Victorians will not choose euthanasia. And while the possibility may have increased, it is also not inevitable that “assisted dying” will be legalised in other states. Those of us who believe that Victoria has made a serious mistake will continue to oppose euthanasia in other jurisdictions. Please pray for us in Victoria. Very soon, as the end of life draws near, it will be possible for us to choose death. Please pray for us that we will always choose life. Fr Kevin McGovern is an ethicist and former director of Melbourne’s Caroline Chisholm Centre for Health Ethics. He is originally from Queensland but is now based in Melbourne.